Infuse your favorite vodka with rokz Ginger Cardamom Infusion kit (ideal infusing time – 4 days). 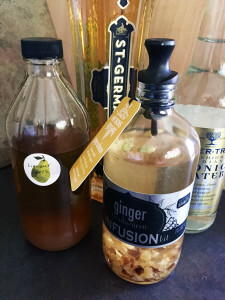 Pour ginger gin and pear liqueur into glass. Add three ice cubes and stir gently. Add tonic water and give it one swirl with a spoon. 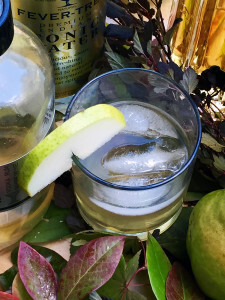 Top with St. Germaine and garnish with a small slice of pear. Through taste testing, we found gently stirring allows the flavors to compliment each other in each sip. 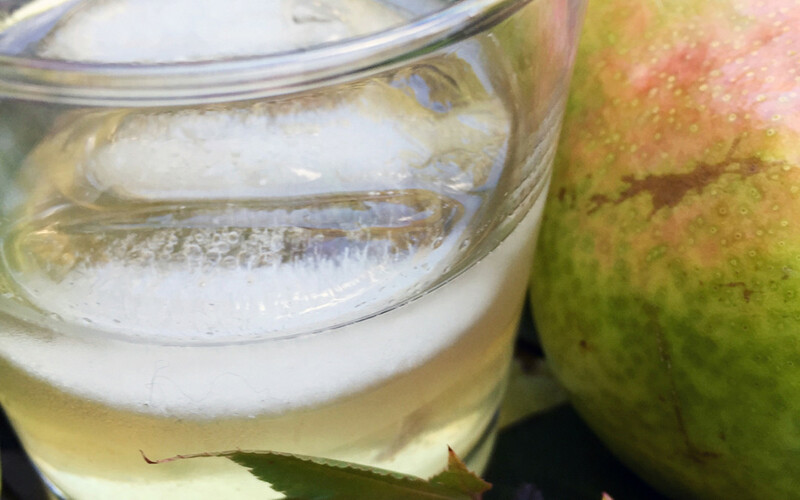 Make your own pear liqueur or pick some up at the store; Merlet Creme de Poire William is a good option. 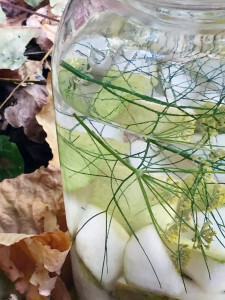 Sterilize a half gallon canning jar. 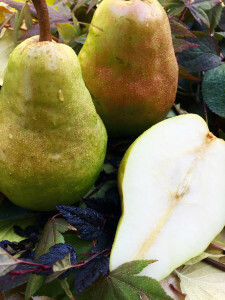 Use about 4-6 medium-sized pears, wash and chop into 1-inch chunks -seeds, core, and all. Add these to the jar, top with 1 cup sugar, and fill with vodka to about 1 inch above the fruit. Shake well. Store in cool dark place for at least one month, shaking it occasionally. 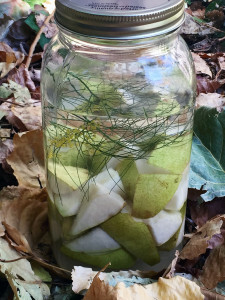 Strain through a double layer of cheesecloth and put resulting liqueur in a sterilized bottle.